MANILA, Philippines - Looking for a place where you and your family can grow up in? Have the environment of a gated community and give yourself the satisfaction of a suburban lifestyle right in the Ortigas Business District. 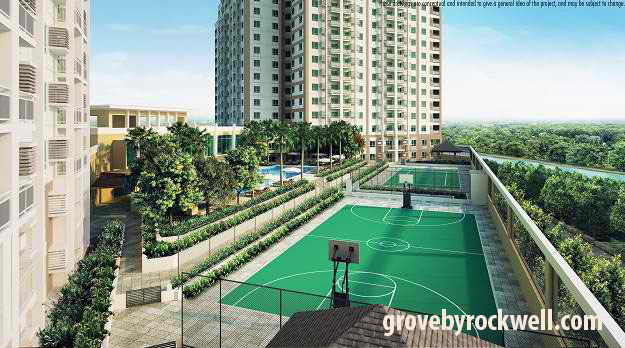 The Grove by Rockwell gives an opportunity to any member of the family with literally enough space to grow up in. Live an active and healthy lifestyle with no limits. With numerous options for sports and recreation, The Grove gives the residents the option to exercise and play anytime they want right at home. Kids are carefree in The Grove by Rockwell with the grounds to satisfy every whim of their imagination. Activities abound in the sprawling grounds of the Grand Lawn, and the numerous swimming pools and gardens. Let them play with the neighbors and easily arrange play dates with the other families within the community where everybody knows everybody. Security is attuned to your needs with the safety of the family always the priority. This makes for safer corridors and common areas. Teenagers need some space while growing up so give them the freedom but with close supervision. Let them develop their budding social lives with their friends in The Groves neighborhood with awesome hangout places like Umami or Sunrise Buckets just a stroll away. With other retail establishments nearby, you can still keep a watch over them. 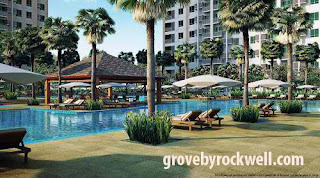 There is abundant space to start up or settle down in The Grove by Rockwell. Raising a family or a propelling a career is easy with the space to accommodate all you and your family’s needs. The amenities serve to keep their active lifestyles in check without having to leave the community. They will certainly have venues for team sports for fun and camaraderie or gyms for more rigorous training. The top schools in the country are also easily accessible from The Grove by Rockwell and will prepare them for academic excellence. You and your children can study in the comfort of your own home or in the relaxing outdoors in the meditation garden where distractions are at a minimum.